Rising wages. Energy and transportation costs squeezing your bottom line. Poor product quality. These legitimate concerns continue to push manufacturers to reshore their operations. 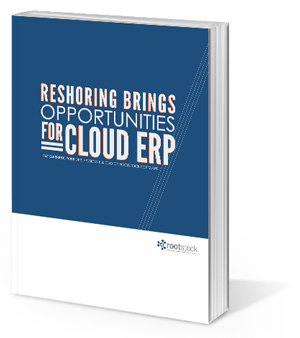 Fill out the form to download "Reshoring Brings Opportunities for Cloud ERP"